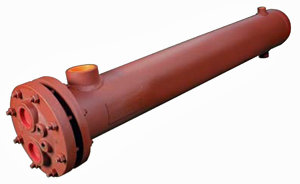 Taco Steam to Liquid Heat Exchangers feature U-tube construction and are built in accordance with ASME Section VIII. A wide variety of materials allows you to choose the configuration that’s best for your particular application. For example, our standard shell material is steel, however, shells are also optionally available in 304ss or 316ss. Our standard head material is cast iron, but heads are optionally available in fabricated steel, cast bronze, or fabricated 304ss/316ss. In addition, tubes, tube sheets, separators and tie rods are all available in optional materials. To help assure the high quality you expect from Taco, we do all fabrication in-house.